2007 Ford E-450 Braun Type III ambulance. 2010 KME Engine carrying 1000 gallons and a 1500 gpm pumping capacity. 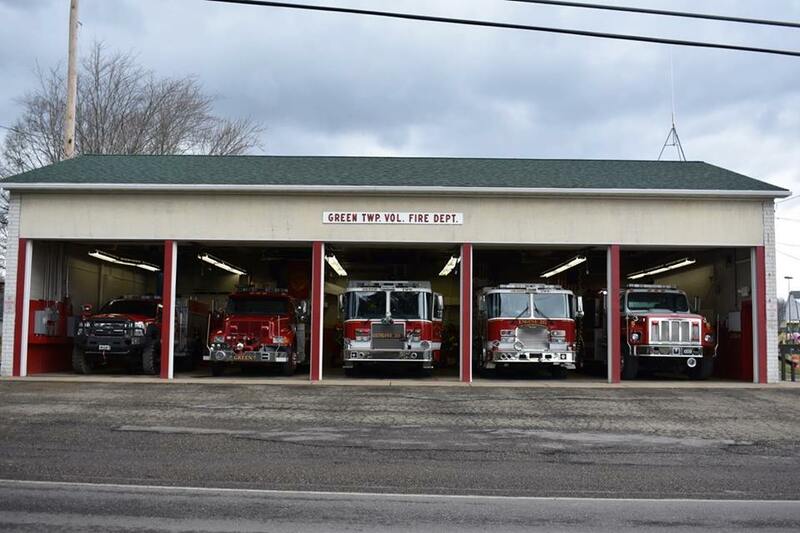 With the above equipment, excellent training and mutual aid from our neighboring fire departments, the Township has a Class 5 Insurance Office Rating for Green Township. This saves the Township residents every year on their fire insurance. All residents are encouraged to confirm that your homeowners policy has the updated rating. Our Fire Fighters, EMTs, and Paramedic's hold the annual Firemen’s Festival on the 1st. Saturday of August starting at 5:00 pm behind the fire station. A pancake and sausage breakfast is held on the 3rd. Saturday of March from 6:30 am to 11:00 am at the Fire Station. These fund raisers help purchase equipment and supplies. The Fire Department is constantly apply for grants to purchase various equipment such as, air cascade fill station, radios and turnout gear. The Greenford Ruritan help with purchases of equipment and supplies. The Fire Department is proud to serve Green Township. If you are 18 years of age and live in Green Township or within 3 mile of the Township and would like to join, please call the Fire Chief, Todd Baird at 330 774-9697 for more information. We are looking for Volunteers. Green Township contracts with neighboring Goshen Township for police protection. We believe this contributes to the safety of the officers in being able to always have a back-up officer on shift. 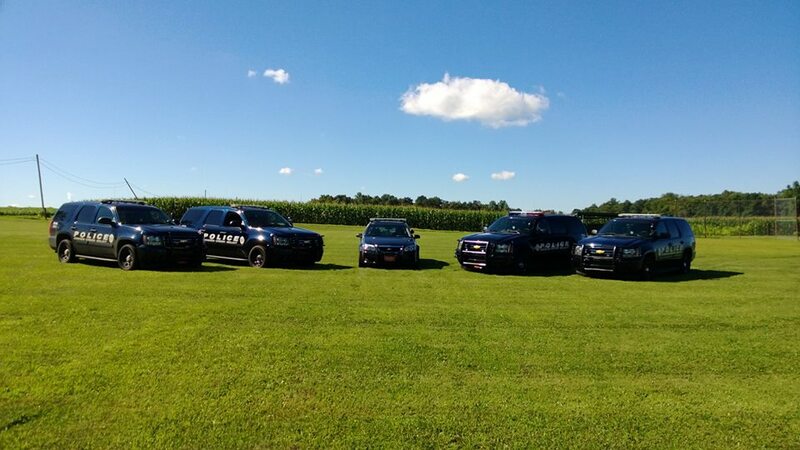 Contracting with Goshen Police Department also combines the administrative expenses thereby ensure more revenues are used in the safety of the residents. The department has approximately 20 sworn Police Officers. In addition to the paid personal, the department has a reserve officer program. All Officers hired by the department start as reserves. They must complete the field training program in order to progress to a part time paid position. The Department patrolled 24 hours a day, 7 days a week in Green Township. The Greenford Christian Church contracts separately for traffic control for their services. All emergencies should go thru 911 or dispatch can be contacted at 330-332-0547 or 330-740-2370. The web site for the Goshen Police District is www.goshenpd.com. The Police Chief is Steven T. McDaniel who can be emailed at smcdaniel@goshenpd.com.